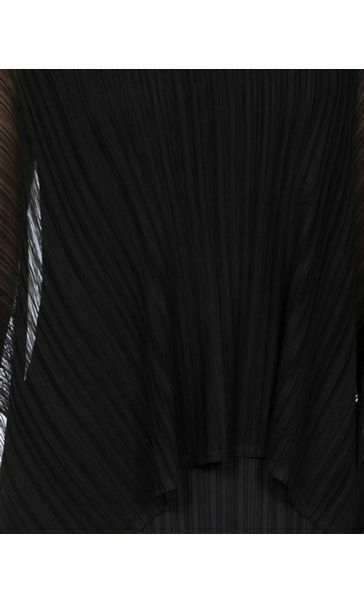 Elegant black dress crafted in an all over pleated fabric, complete with an extra pleated layer to the top, boasting split detailing in the sleeves and flattering round neckline. Team with black heels for a polished finish. Back length 115cms. 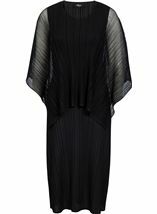 Great dress just right for my dress up nights on my cruises. 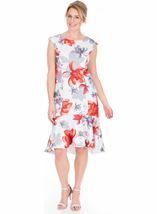 This dress is a great fit and easy care fabric that you can fold up and take away without the need to iron. Looks great on, and suitable for numerous functions. Good length for my 5'9" frame. 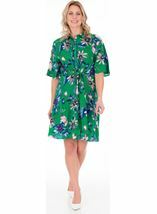 This dress is wonderful, its so easy to wear, so light and floaty! 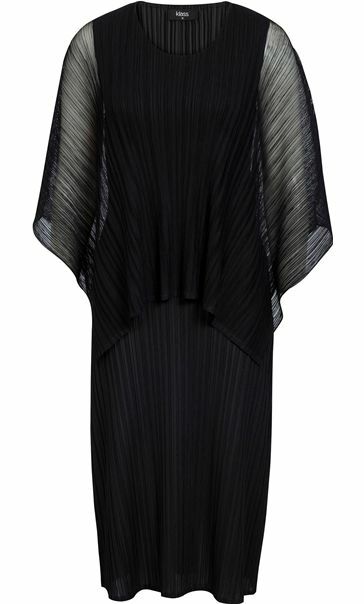 the dress is loose but due to the fine pleated nature of the fabric it gives you a good line, and the chiffon top being attached makes it a no nonsense wear and looks good.